I cast on with color A, and for my bind off edge, I worked Rows 1 and 2 once more because I thought it looked better than binding off after Row 4. 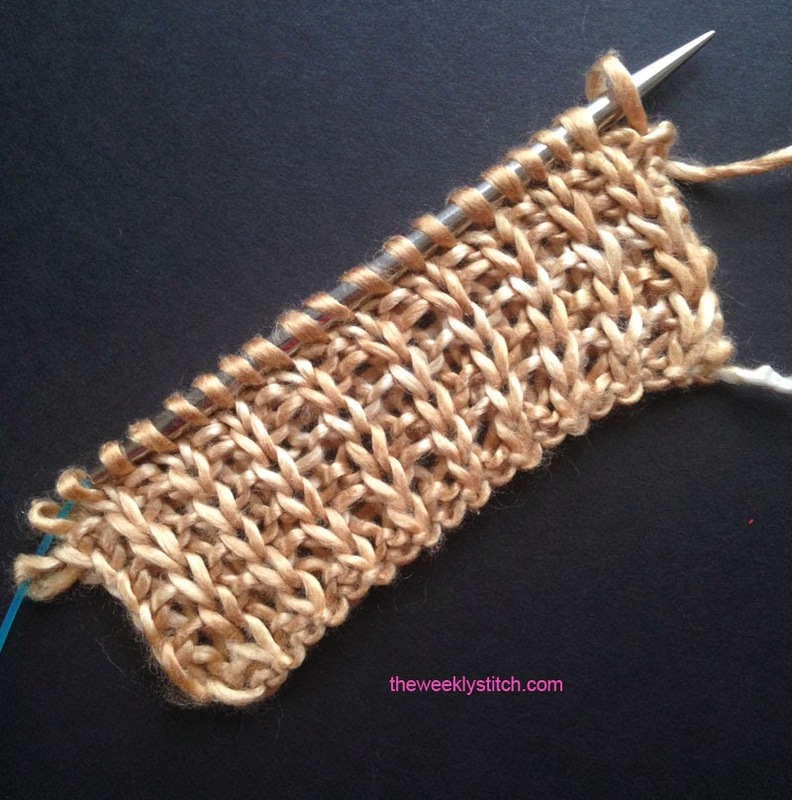 You can use color B to cast on/bind off if you like. 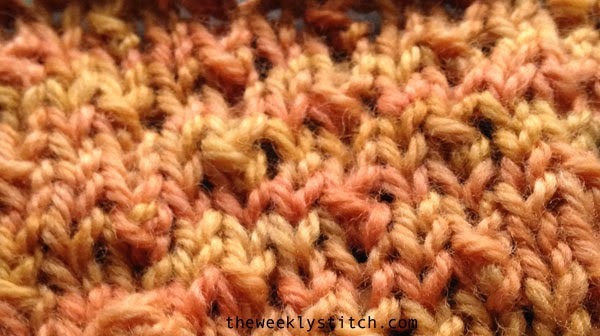 This stitch makes a subtle texture on stocking stitch. 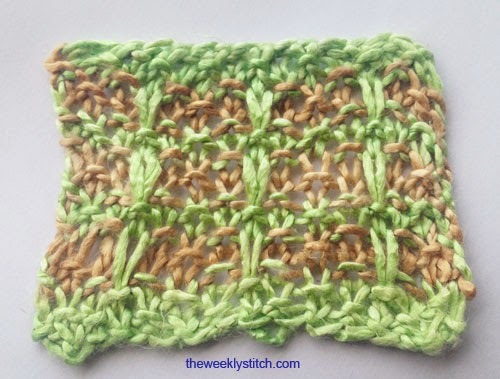 You may want to consider a border all around to help the fabric lay flat, depending on how you plan to use the stitch. And yes, I made a mistake in the video. On the last row near the end, I forgot to slip the new stitch to the left needle to knit it again - sorry!